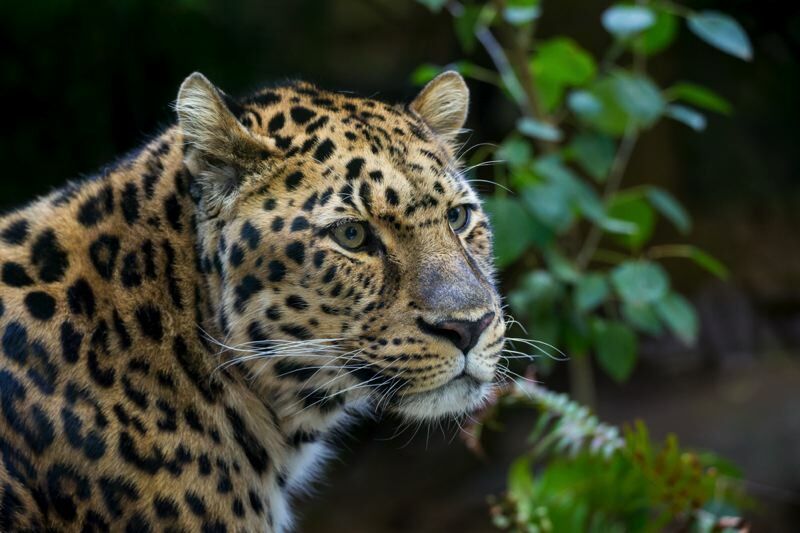 Oregon Zoo officials said Wednesday that Borris, a rare Amur leopard who was one of the oldest of his subspecies, was humanely euthanized Tuesday because his health began to decline. "With only around 300 Amur leopards left on the entire planet, each passing is keenly felt," said Amy Cutting, who oversees the zoo's Amur cat area. "But this one is especially tough. We know that ultimately the pain of losing Borris will pale beside the joy of having had him in our lives. But this one is going to take a while. He was one of a kind." According to the zoo, Borris at 19 was the second-oldest Amur leopard in any facility accredited by the Association of Zoos and Aquariums — and one of the oldest in the world. Recently, as his flexibility deteriorated, zoo caregivers had been using a bamboo backscratcher to help Borris groom himself. He was born May 5, 1999, and came to Portland in 2010 from the Miller Park Zoo in Illinois. Borris joined the Oregon Zoo's female leopard, Kia. Amur leopards are nearly extinct, with about 100 believed to be living in the wild.